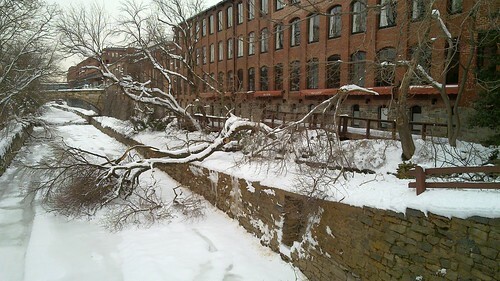 The C&O Canal Towpath has been closed since last week between 31st and Wisconsin in Georgetown due to huge trees downed by the weight of Snowmageddon 2010. 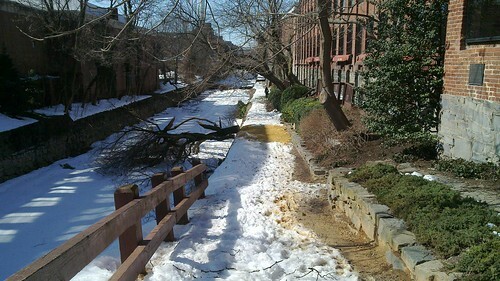 No word on when NPS plans to clean up the mess, so if your jogging route takes you down the C&O anytime soon, you might want to detour down to K or up to M for the time being. Thanks to palkynetbab for the photos. Bigger pics after the jump. 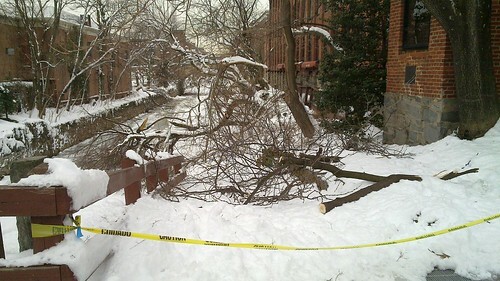 The same is true on the Capital Crescent Trail; multiple large trees are blocking it, at least near the Georgetown end.